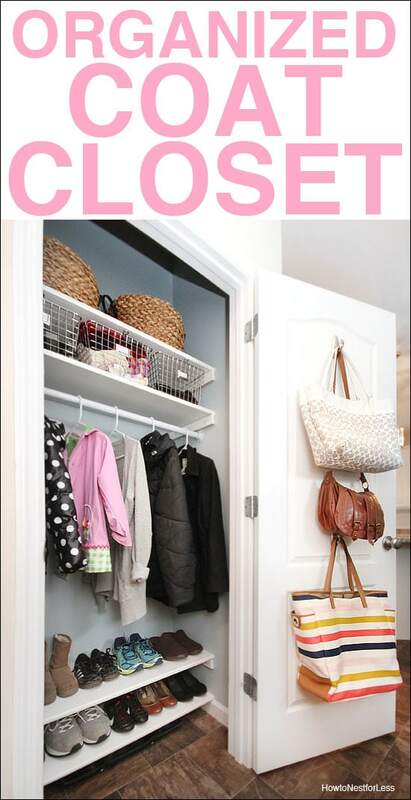 So with winter fast approaching, I thought it would be fitting to get our coat closet organized. This little one between the garage door and our kitchen needed a little love and a lot more organization. 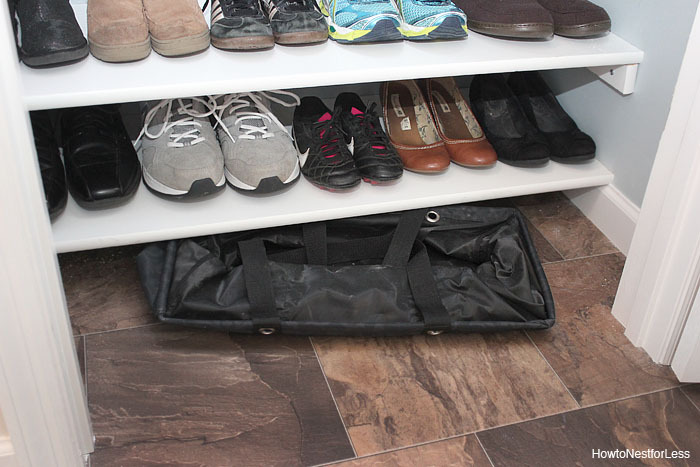 I first tried just having two laundry baskets at the bottom for shoes, but it was really annoying to dig through to find matching pairs. 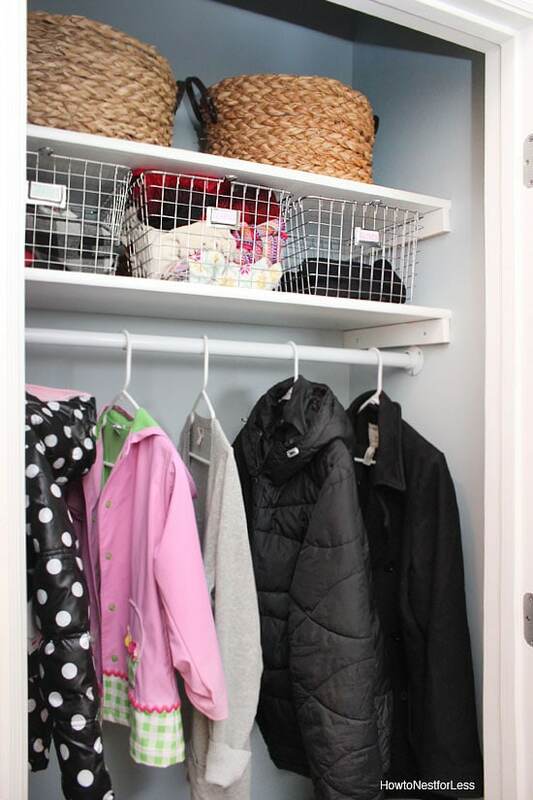 So Saturday we drew up a plan and got to work and within a few short hours our new coat closet looked refreshed and organized! 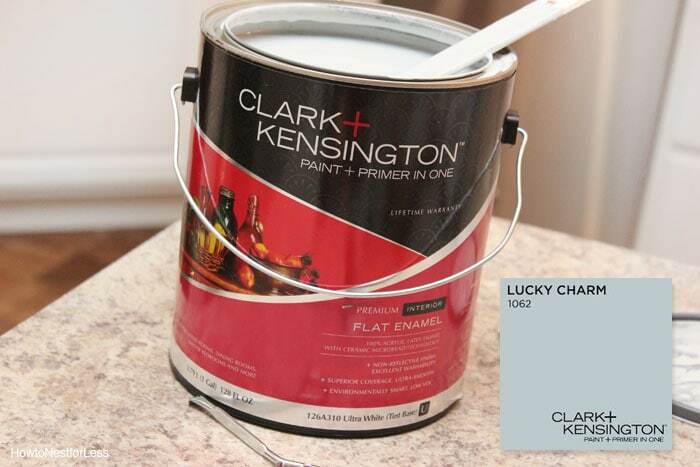 The first thing we did was take down the old shelving, patch up the holes, then painted the entire closet in Lucky Charm by Clark+Kensington from Ace Hardware. 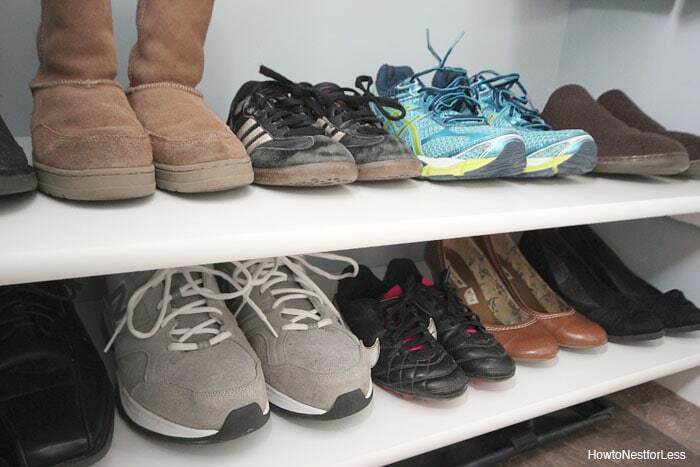 Then we added my favorite part, the shoe shelves. We trimmed two white shelves from Ace Hardware and added them to the bottom (basically holds about 10 pairs of shoes easily). 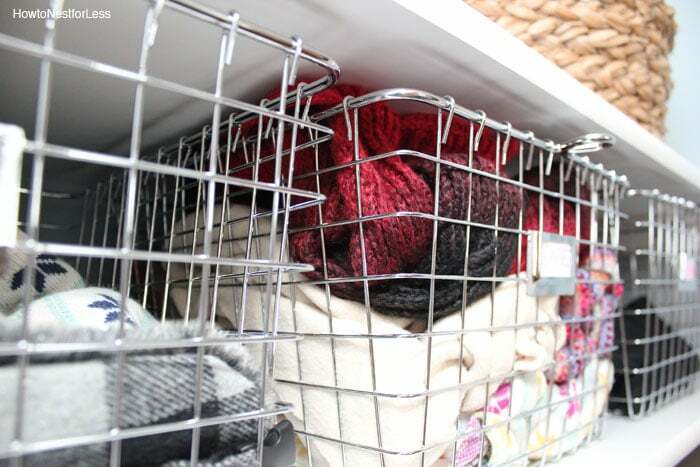 I purposefully left just a little space below the bottom shelf so I could hide some large folded totes and bags. We also added two shelves to the top of the closet. The first shelf towards the top just barely fits three wire baskets we got from Ace Hardware. 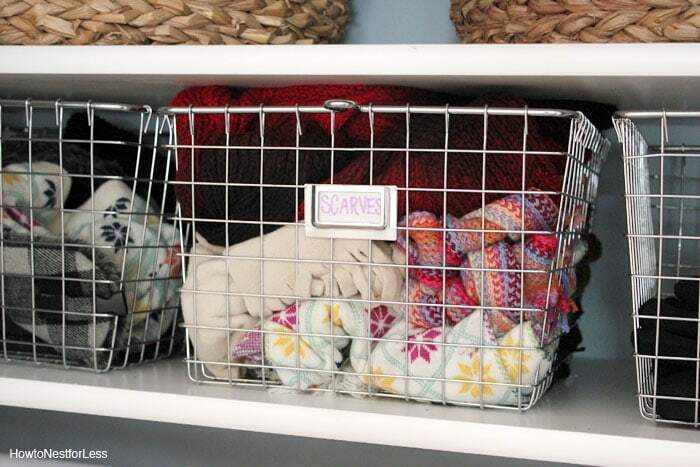 I love these things because they have a little space to add labels for our scarves, hats and gloves. 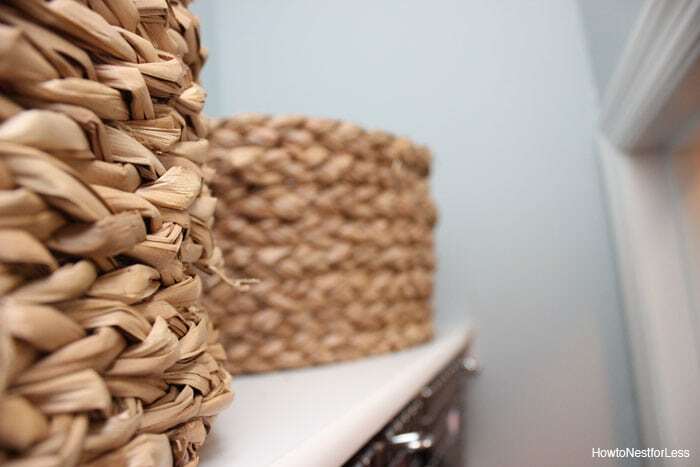 Then the very top shelf hold two large baskets from our laundry room makeover in the old house. One holds painting supplies while the other keeps random outdoor supplies. 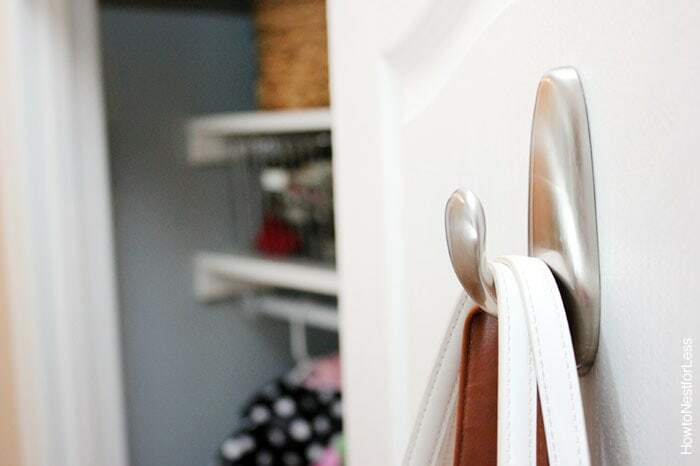 To add extra organization we added two heavy duty Command Brand hooks to the inside of the door. These suckers hold a lot of weight. 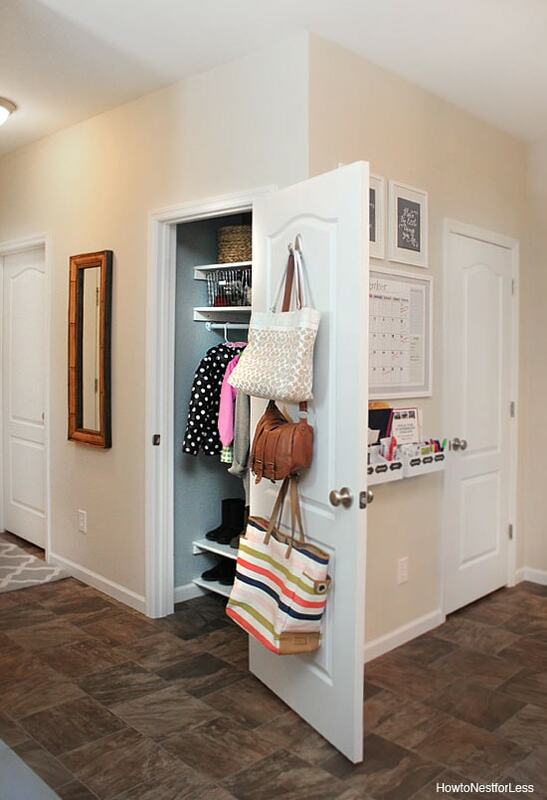 Now I have a great place to store my purses and bags, within an arm’s reach but out of the way. So another space organized and crossed off my to-do list. 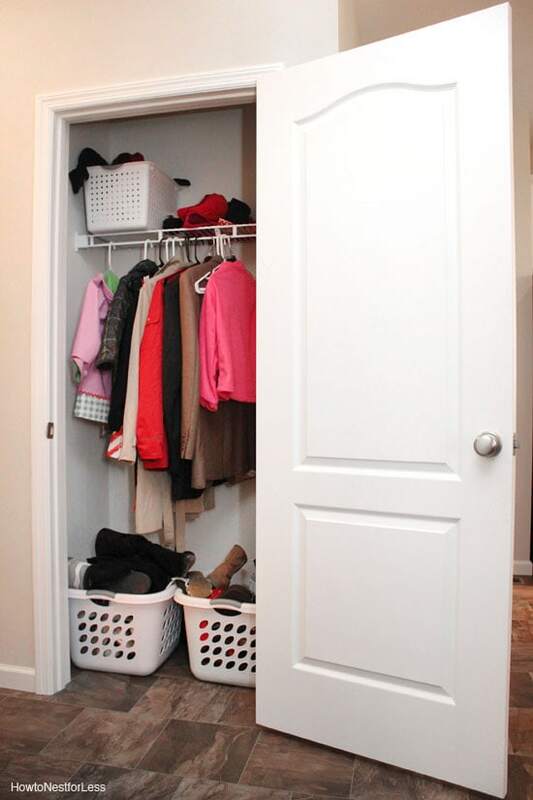 I have another one of these small closets on our main floor. Guess I’ll hit up that one next! 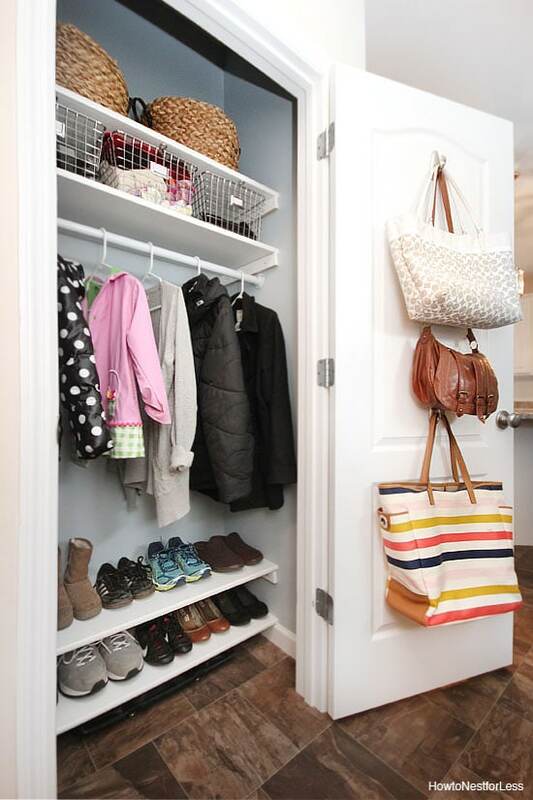 what a great idea…..shelving on the bottom for shoes……..my coat closet is much slimmer….but could work. Wow! You make this look completely do-able! 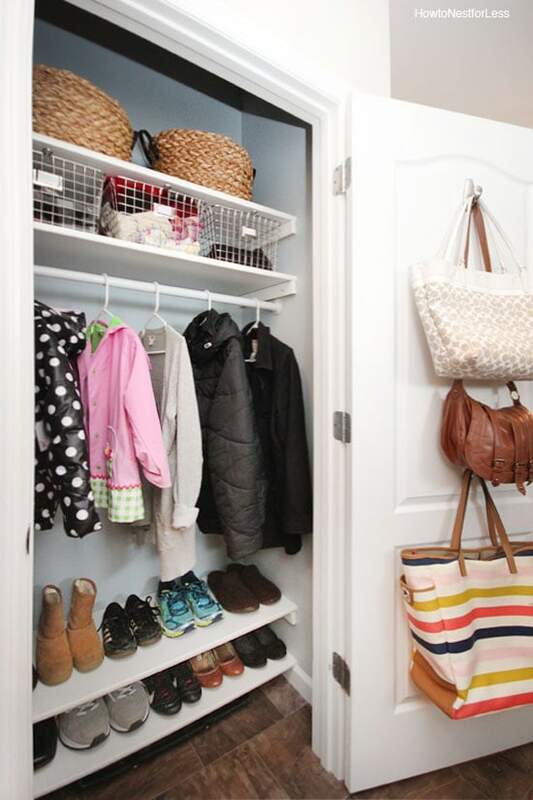 Your closet looks tidy, fresh and ready for the winter weather. I think I can probably work this into my budget and schedule. Thanks for another great idea! Great job, so inspiring. Would you mind sharing the source of the bottom tote bag with Stripes? Its adorable. Thanks Jillian! It’s from the Coach outlet this past summer. It’s called the Hadley Multicolor Stripe Canvas Beach Tote Bag. 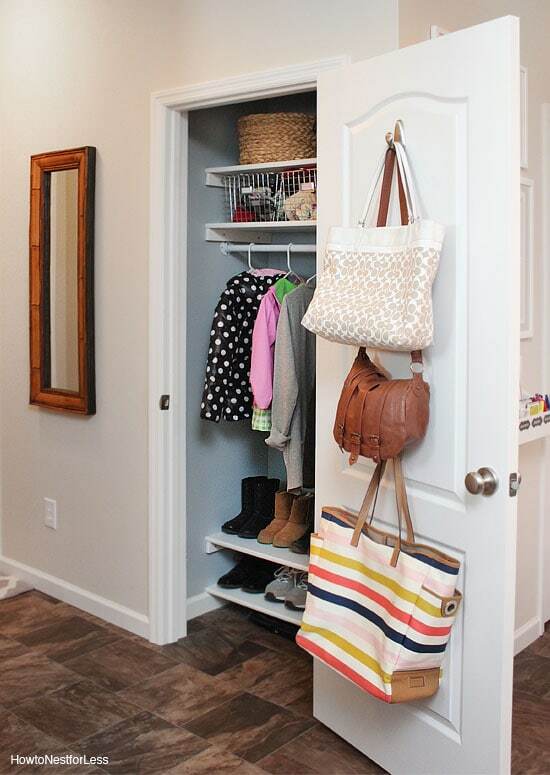 The closet looks great…also love your purse, the brown leather one, who makes it? Brown leather one is from Target!